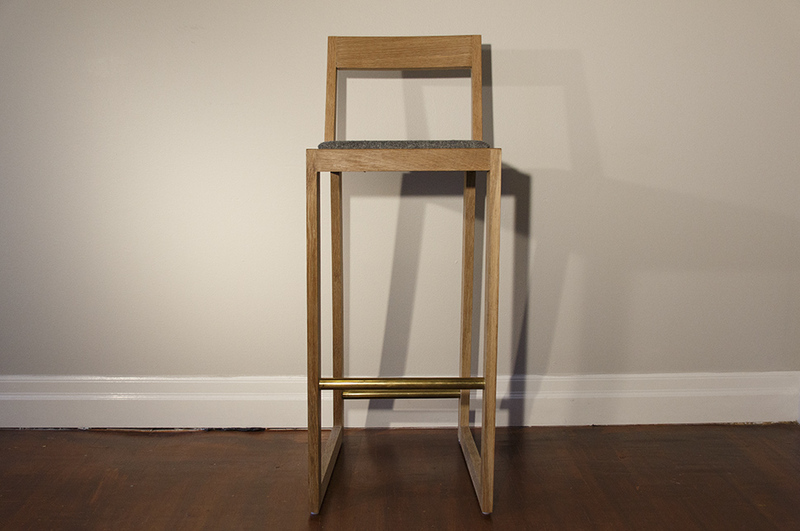 Tall and sturdy, these stools are named for their earthy elements and ingot-shaped legs. 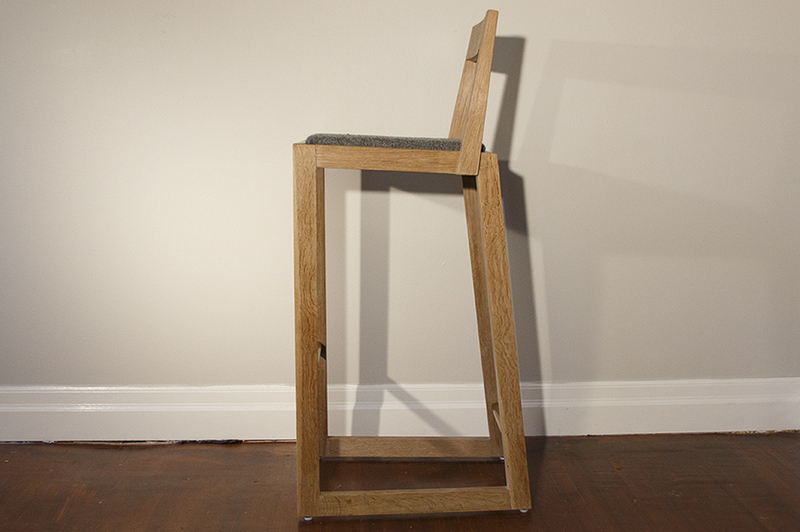 Made of hard White Oak, elemental Brass, and topped with nubby tweed, each component of the design was chosen to evoke a strength and elegance. 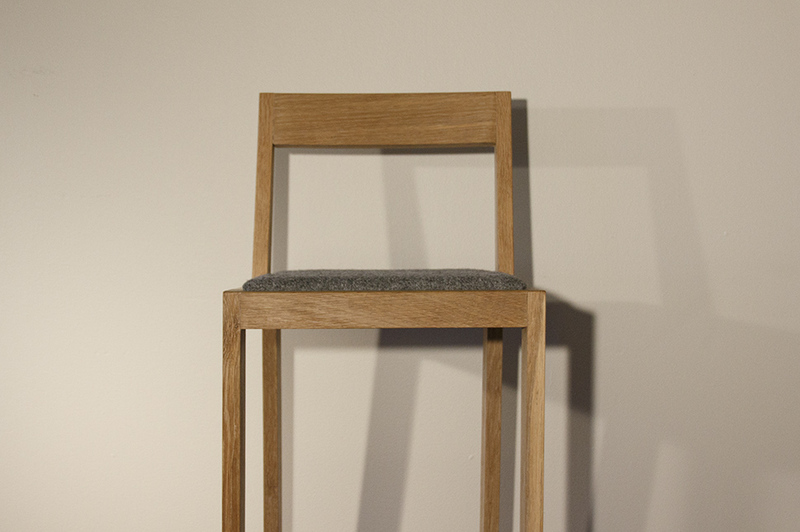 The materials, including the upholstery, speak to heritage and enduring quality. The cushions have been upholstered in authentic Harris Tweed, brought directly from Scotland, where the designer’s relatives operated the hand looms for decades and still live to this day. The fabric is hand-woven from locally-spun virgin wool in the homes of residents of the Outer Hebrides, where it is also finished. Since 1993, the process has been protected under the Harris Tweed Act.